Georgia Republican Senator Johnny Isakson is demanding that South Africa must meet with Agoa’s eligibility requirements under the US African Growth and Opportunity Act (Agoa) to remain an eligible sub-Saharan African country. According to a report in Business Day (24 April) he wants a review of South Africa’s eligibility, the purpose of which is, “to have people held accountable for their trade policies and practices … We are standing up for open markets and open trade. 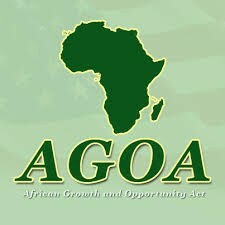 SA is the largest beneficiary of Agoa. It should be the most co-operative player”. (3) does not engage in gross violations of internationally recognized human rights or provide support for acts of international terrorism and cooperates in international efforts to eliminate human rights violations and terrorist activities. 1. Ensure that South Africa meets and continues to meet all the Agoa eligibility requirements. 2.8 Regional Integration / Duty Free Trade – push forward the agenda of regional trade integration within southern & eastern Africa. Establish a tripartite trade bloc between the Southern Africa Development Community (SADC), East Africa Community (EAC), and Common Market for Eastern and Southern Africa (COMESA). Free trade with the US is highly beneficial to the South African economy and essential for growth. The government needs to make every effort to meet with the eligibility requirements. Author: Eustace Davie is a director of the Free Market Foundation. This article may be republished without prior consent but with acknowledgement to the author. The views expressed in the article are the author’s and are not necessarily shared by the members of the FMF.